> Elba A4 Extra-Wide 10-Part Divider Pressboard. Euro punched spine to suit all file mechanisms. Elba Elba A4 Extra-Wide 10-Part Divider Pressboard. 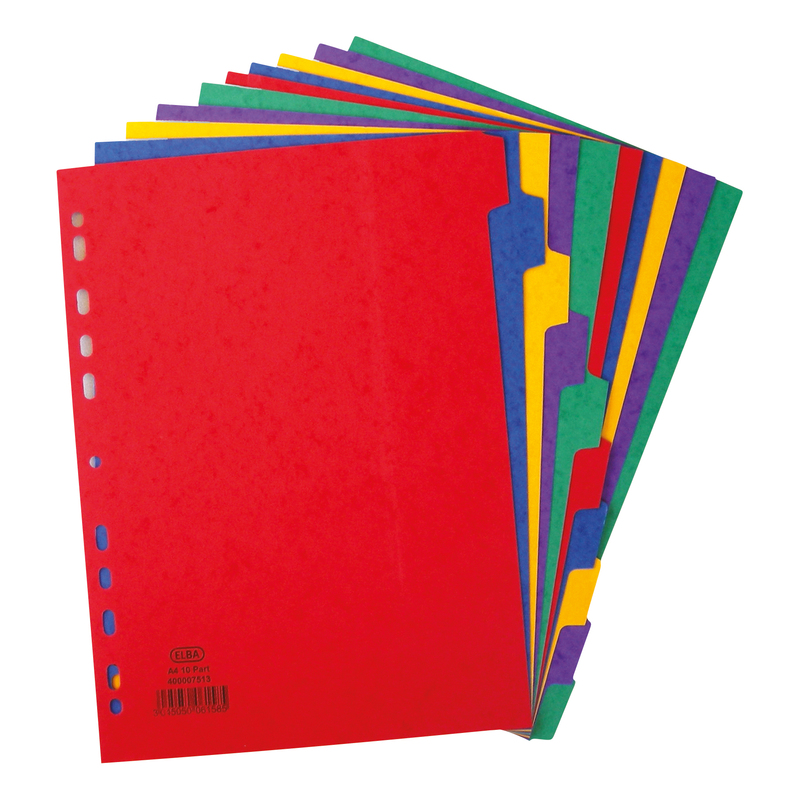 Euro punched spine to suit all file mechanisms. Elba A4 Extra-Wide 10-Part Divider Pressboard. 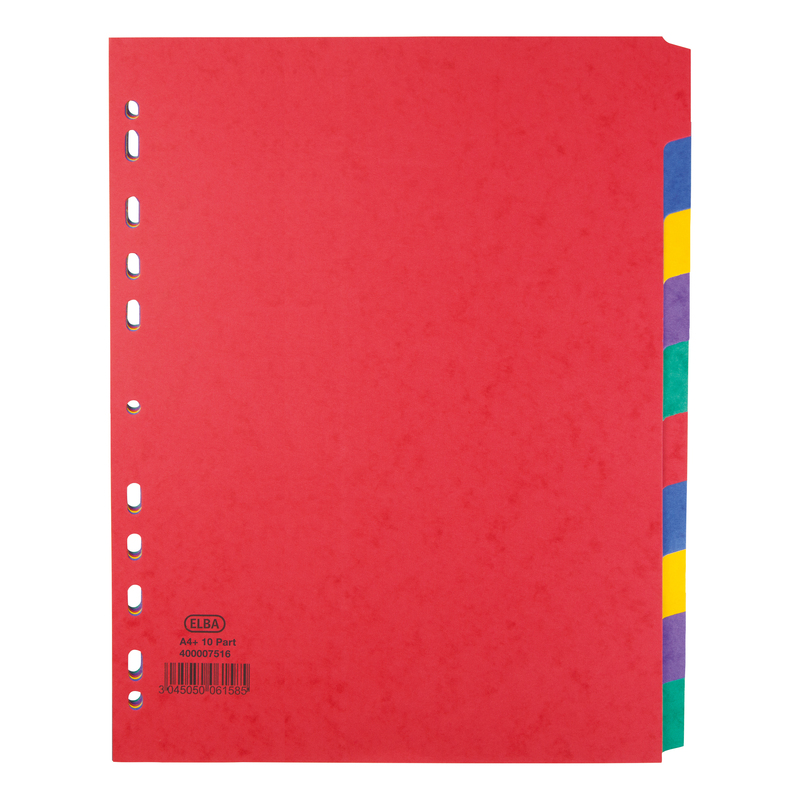 Euro punched spine to suit all file mechanisms.